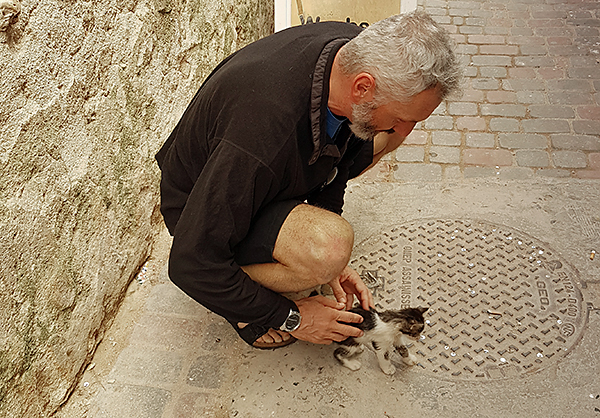 "This has got to be the cutest story of the week," writes The Dubrovnik Times. At Christmastime, the Stradun in Dubrovnik, Croatia, is spotted with decorative Christmas houses and a huge Christmas tree. 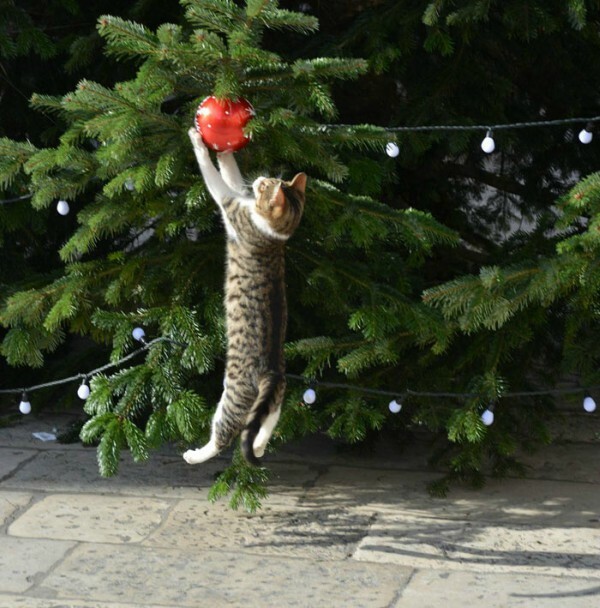 While locals and tourists bundle up to drink hot wine, eat sausages, and attend Christmas concerts and events, the local cats have more amusing plans: knocking down the Christmas trees. 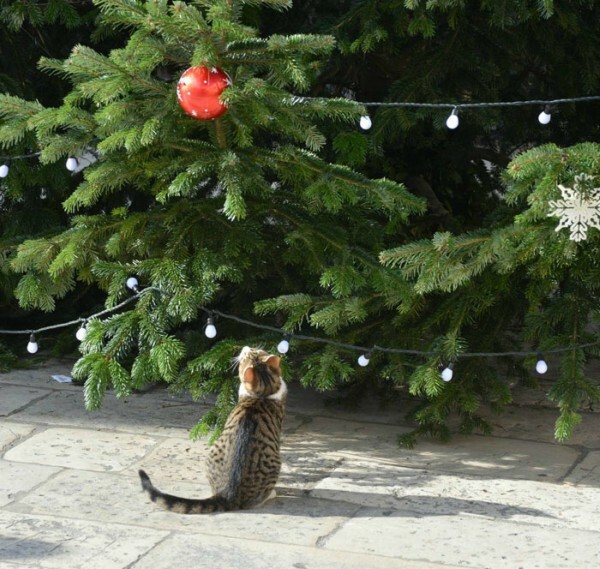 Photographer Zeljko Tutnjevic captured how one cat admired the Christmas tree on the Stradun before jumping on its shiny ornaments. 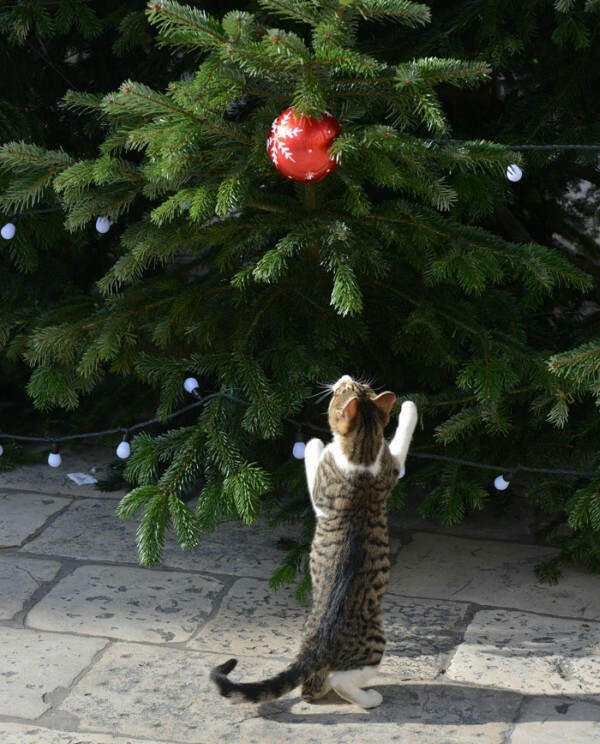 Just one of the many cats that can't resist a good Christmas tree. "In June of 2017, I embarked on a journey that involved traveling Asia," says writer and photographer Amy Mander. "I lived and resided in Thailand, Japan, and Taiwan, all for an accumulated time of six months." 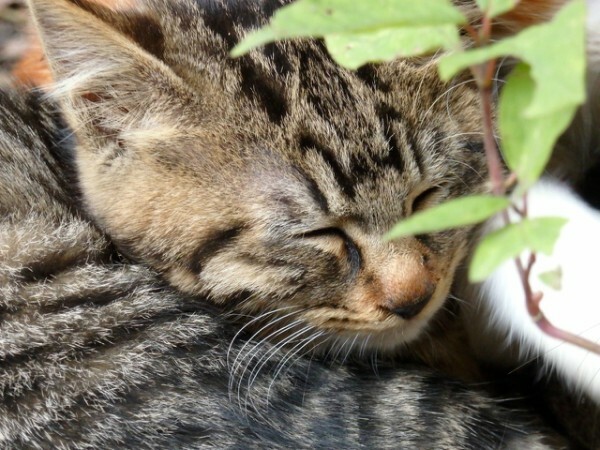 "During this time, I learned and saw a great deal of compassion toward cats, yet sadly witnessed much animal cruelty, too." "Thailand was the one country where there remains a mutual understanding between human and animal. 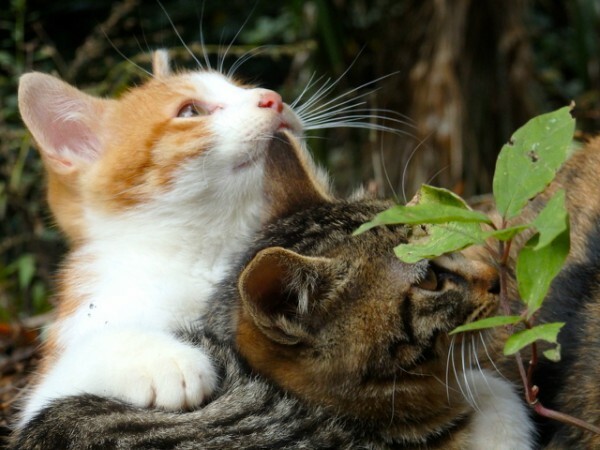 Each respect one another and live daily life together," Amy Mander writes in her book Street Cats of Thailand and Japan. "Wild dogs dominate the pavements. 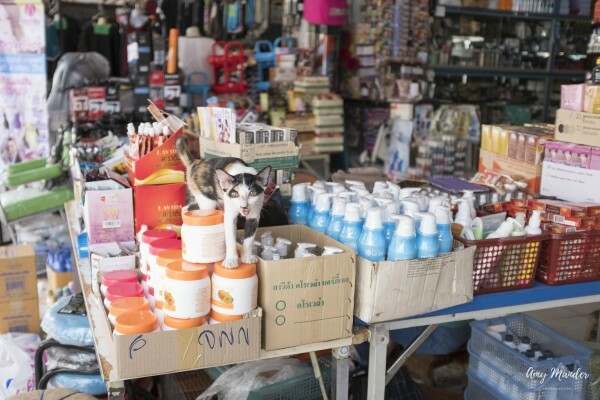 Cats and kittens laze around shops. Lizards occupy the walls in hotels, homes, and hostels. Butterflies surround you when you walk the grounds of a garden. Birds pay no attention to your calls, only to look for a brief moment and then move onto the next tree." "Japan was a country where humans took precedence, whilst animals were subjected to ill-treatment," Amy Mander writes. "During my time in Japan, I witnessed bizarre animal relationships, and more education needs to be introduced, especially for Japanese pet owners and within Japan's zoo practices. 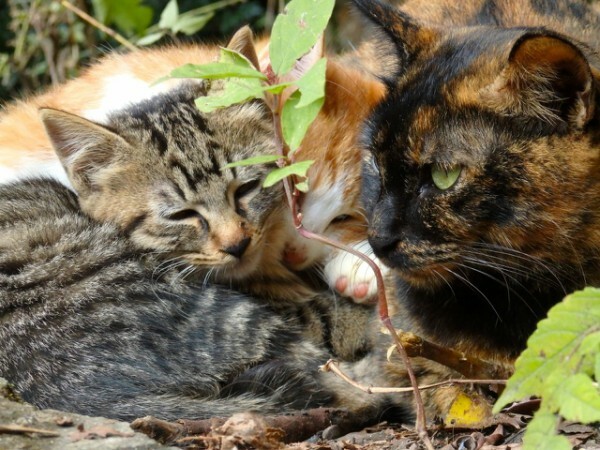 The cats in Japan were all predominantly wild and tended to go around in packs. 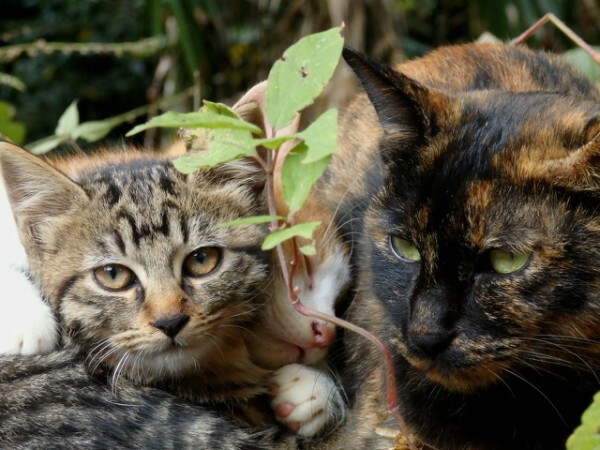 Highly protective of one another and only loyal to few, mainly the older Japanese generation who would visit where the cats frequented and place some tuna for them to eat. 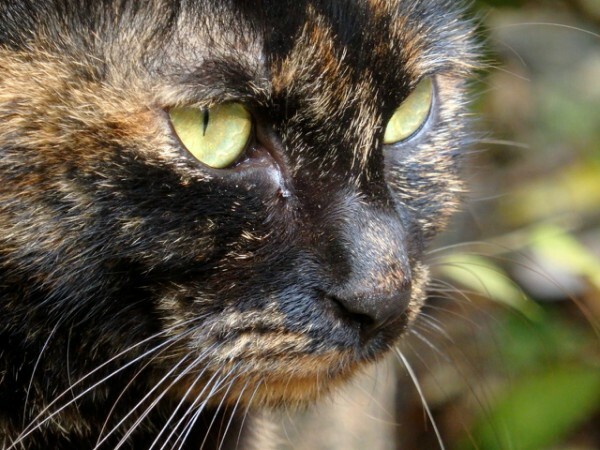 I am afraid this tradition led by the older generation won't continue on, and many of these cats will starve." 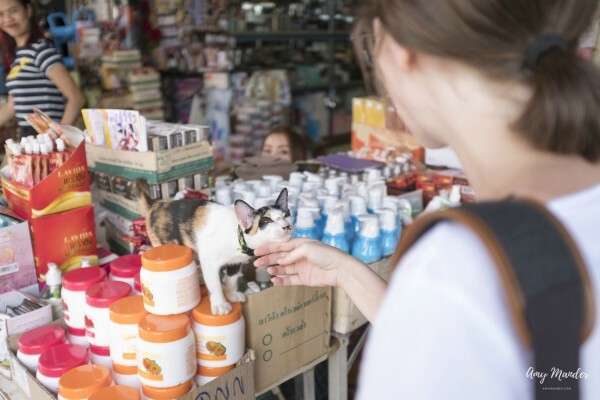 Amy Mander hopes to inspire and continue to raise awareness about cats in Asia through her little book Steet Cats of Thailand and Japan. Fifty percent of the sales goes to Kitty Rescuee, a cat center in Asia. 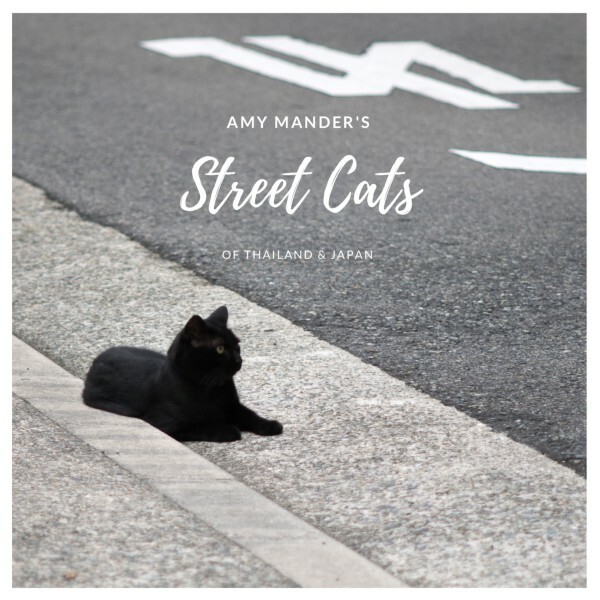 Amy Mander is giving away an autographed copy of her book Street Cats of Thailand and Japan to one lucky reader of Traveling Cats. This book giveaway is open worldwide. Good luck! You must have heard of Mr. No Ears. 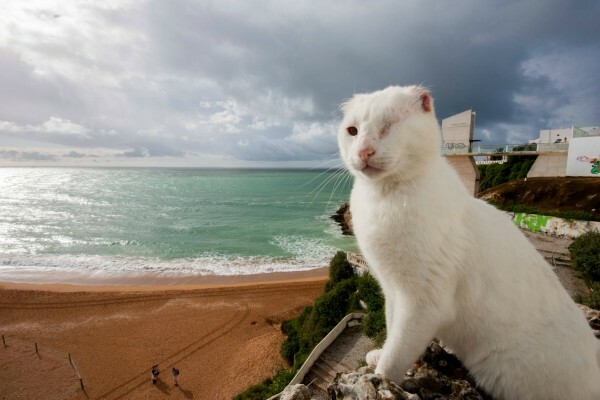 This earless, one-eyed cat from Albufeira, Portugal, is a Facebook phenomenon and has his own book: Saudades Mr. No Ears. But for those of you who don't know him, here is his story. 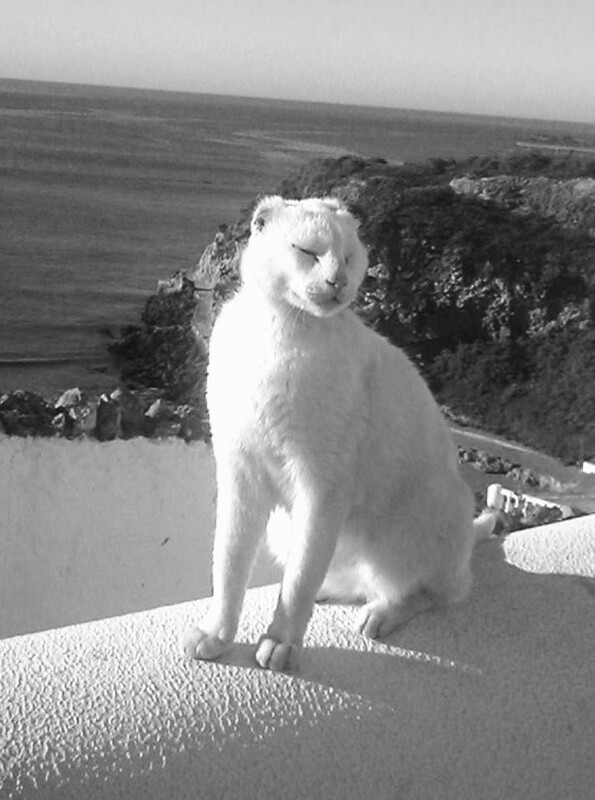 Often referred to as the Lion King of Albufeira because of his love for sitting 'regally,' high up on a concrete pillar, this adorable semi-feral cat was the head of a feline colony in the Algarve region of Portugal. Viewed from a distance, he appeared to be sitting on a throne, silhouetted against a vast sea and sky backdrop. On most days, just after sundown, this was usually where you would find Mr. No Ears, with the members of his colony scattered around on the walkway and wall below him. 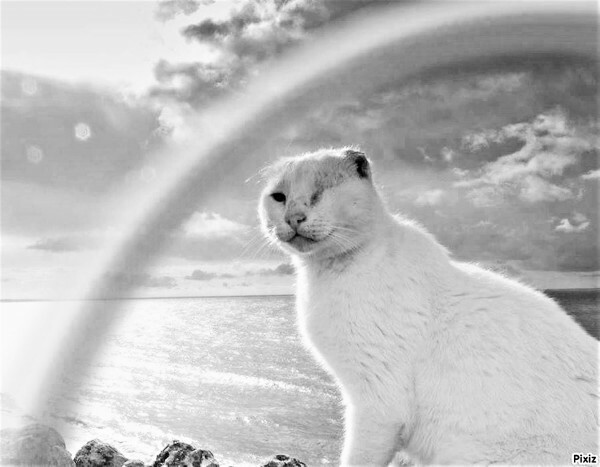 At other times, he was scaling cliffs and running through remnants of foamy waves as salty sea breezes blew back his whiskers and fur. No one knew on which day he was born, so his caretakers decided to celebrate his birthday on World Animal Day on October 4th. 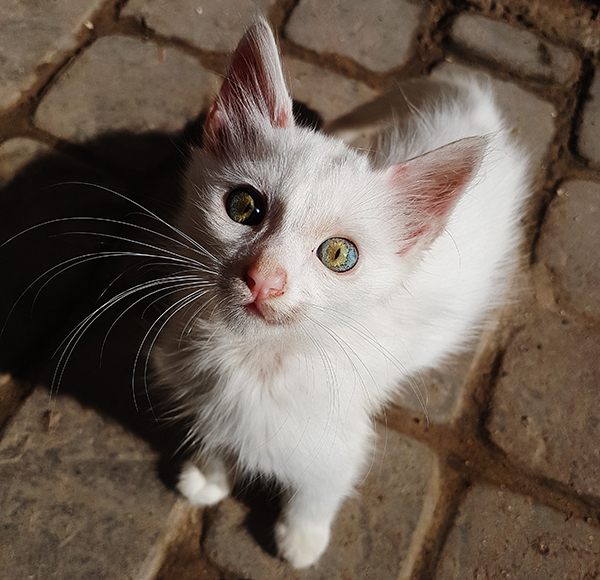 His ears showed signs of Solar Dermatitis, common in white cats, and one of his eyes was open and purulent, with no sign of an eyeball. They almost euthanized him, but the veterinarians fetched him up, and despite all of his problems, he was a strong-minded and happy cat. Even from an early age, he loved the attention of humans, always seeking praise and a treat. Some hotel owners found him repulsive, ordering his caretakers to send him away so he wouldn't 'upset tourists.' But there were just as many people who loved him to pieces, and once he got his own Facebook page, the entire world was at his paws. Unfortunately, Mr. No Ears' story didn't end well. 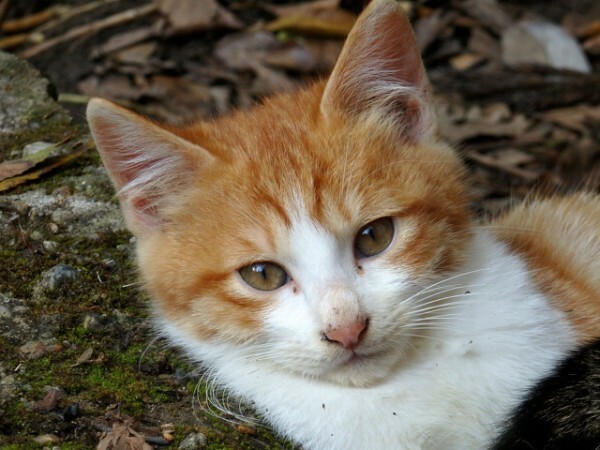 The taking of this much-loved semi-feral cat from his home and family and the circumstances of his death were very emotive subjects that caused shockwaves throughout the animal-loving world. Where to find Mr. No Ears' colony? 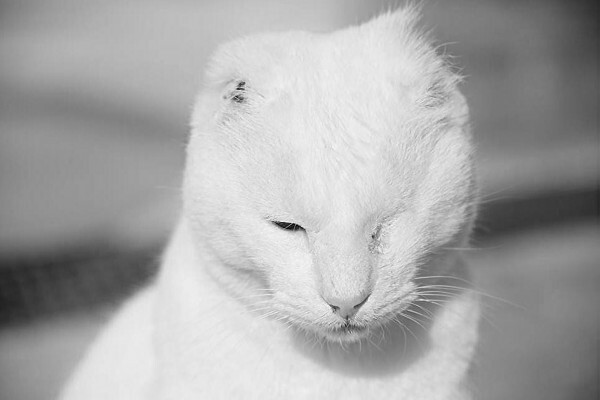 Thanks to Mr. No Ears, the Peneco Colony became a household name and a ‘must see’ on cat lovers’ holiday itineraries. 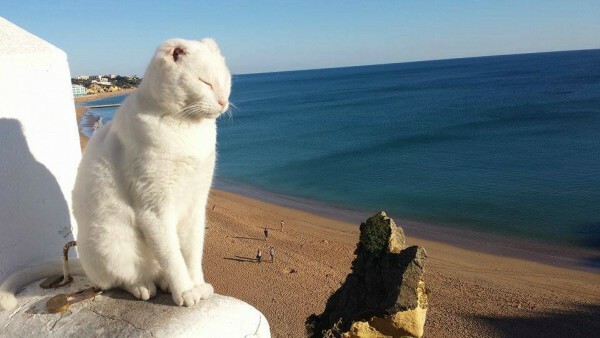 You can find the cats between the sea and a walkway along the top of the cliff that overlooks Albufeira's Peneco beach. Next to the walkway is a sea-facing panoramic viewing deck with benches, where Mr. No Ears loved to hang out. Directly across from the viewing deck is a hotel with a large outdoor seating area. You will recognize Mr. No Ears' favorite seat under a palm tree because the hand-engraved 'Saudades Mr. No Ears' love-lock is attached to it. 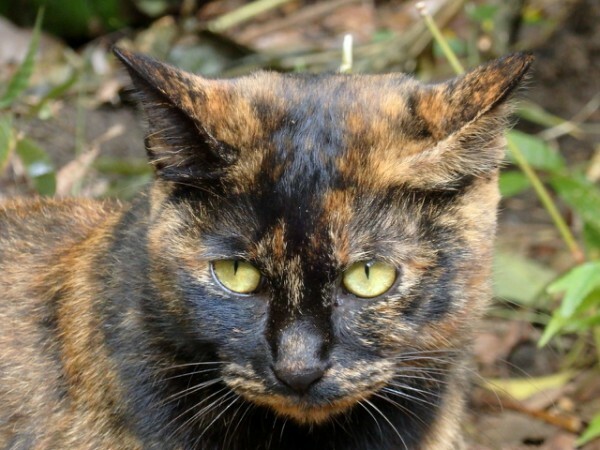 The Peneco cats are semi-feral because they have regular contact with humans. However, they are wary, and only a few of them are tame enough to pet – like Mr. No Ears. Are you looking for the purrfect gift for your cat-loving friend? The book Saudades Mr. No Ears may be just what you were looking for. The book is NOT about his tragic ending, but instead, focuses on the happy moments of his life. 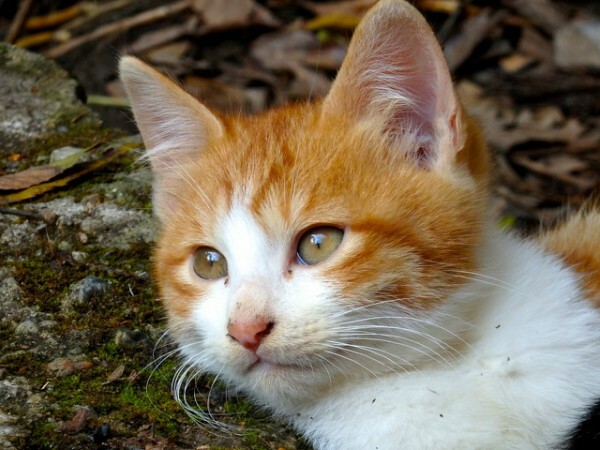 Carol Lee writes about his kittenhood, his personality, his habits, his favorite games and food, his birthday celebrations, his reputation as a 'womanizer,' and about how he influenced animal rights advocacy in Portuguese society. The book also contains a chapter with endearing 'love letters' from his friends and fans, as well as useful information about feral cats and feline health problems such as Solar Dermatitis, ear mites, and Feline Leukaemia Virus. If you were one of the lucky people to have met Mr. No Ears in real life, this book is a must-read which will bring back happy memories. But even if you've never heard of him before today, you'll still enjoy it as a heartwarming tale. 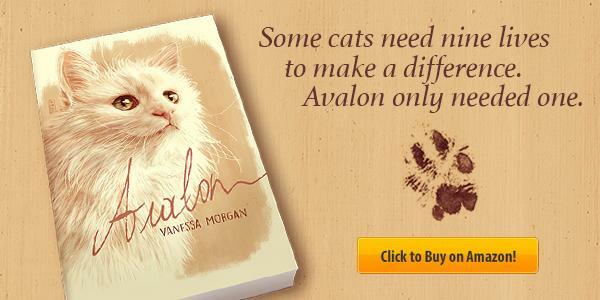 His story is written in an easy-going and straightforward style and will appeal to many cat lovers. It is available on Amazon, from his Facebook page, and in a local bookshop in Mr. No Ears' hometown, Albufeira. Before Christmas, the book comes with a festive cover, so hurry up and order your copy now before the special edition is out of print. 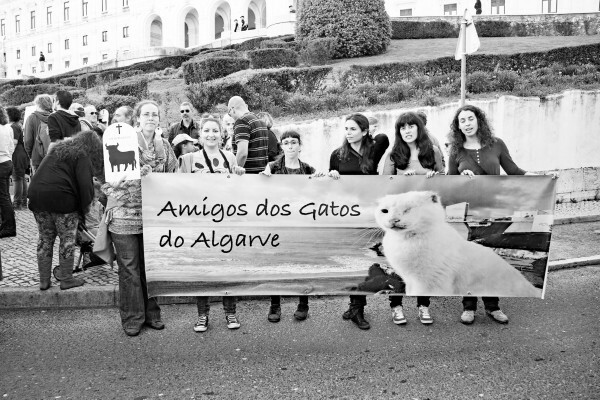 All proceeds from the sale go toward the Trap-Neuter-Return costs and medical expenses of the street cats of the Algarve. 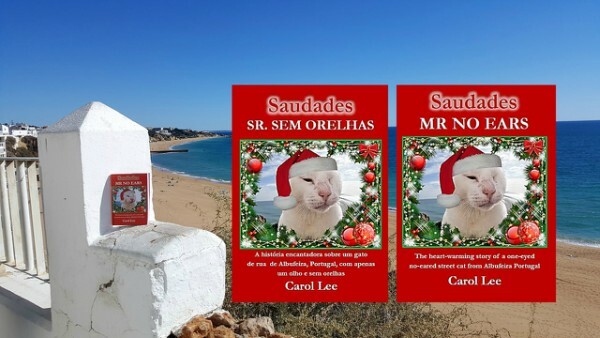 To celebrate Christmas, Carol Lee is giving away an autographed paperback of Saudades Mr. No Ears (or the Portuguese version, Saudades Sr. Sem Orelhas) to one lucky reader of Traveling Cats. The giveaway is open worldwide. To enter, fill in the Rafflecopter below. Good luck! 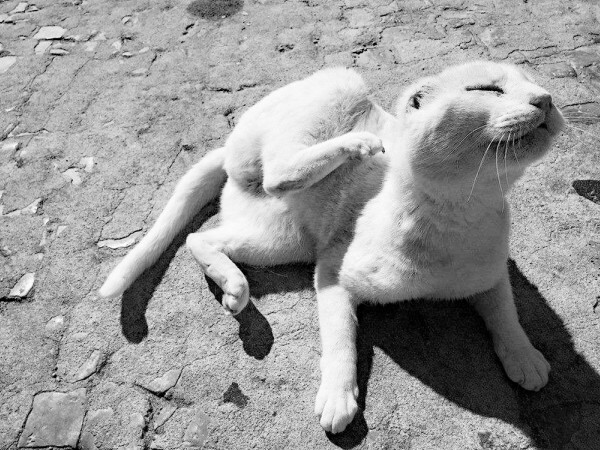 "The streets of the coastal town of Essaouira are quieter than some of the other intense Moroccan cities, and the cats were the most friendly of a country full of loving cats," says photographer Lisa M. Collard. In fact, the many cats were such a joy to photograph that she turned them into a calendar: Cats of Morocco. 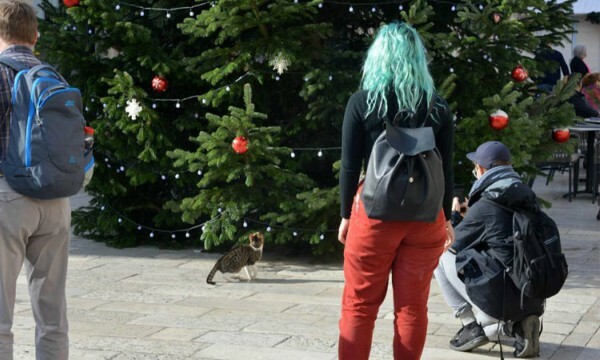 "Looking into this little kitten's earth-colored eyes made want to scoop into my backpack and take her along," Lisa M. Collard told Traveling Cats. "We went back to visit Essaouira again a few weeks later and she was bigger and still thriving." A large clowder had taken over this narrow alley in Essaouira. "This is one of my favorite photos from Essaouira," Linda M. Collard said. 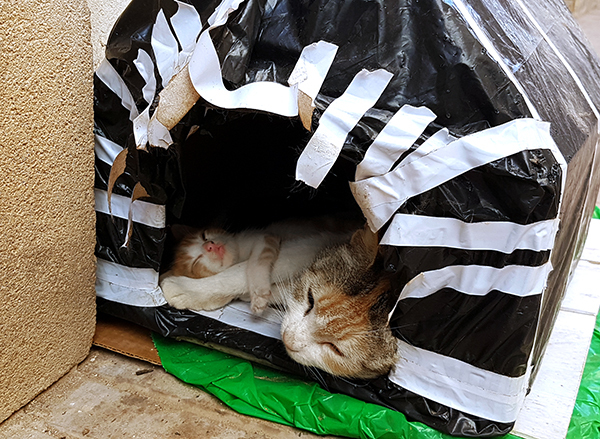 "It had been raining a lot and some kind soul had made this little, waterproofed cat house for a momma and her litter of babies. I passed by here every day to check on them, and they always had fresh water and food and clean bedding." By the way, the cover image from the calendar was taken in this town. 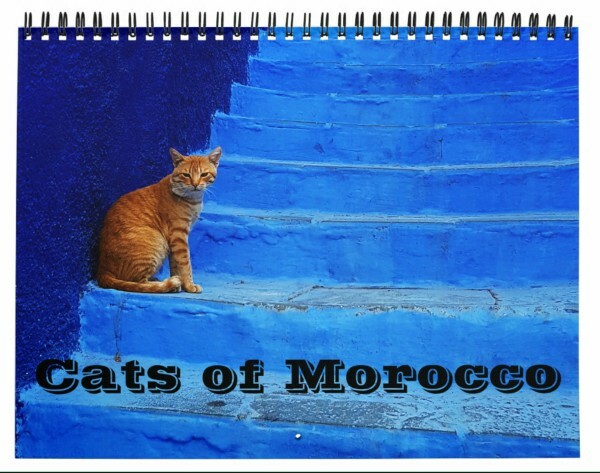 Lisa M. Collard is giving away one Cats of Morocco calendar to one lucky reader of Traveling Cats. To enter, fill in the Rafflecopter below. The giveaway is open worldwide, and we will announce the winner on December 25th. 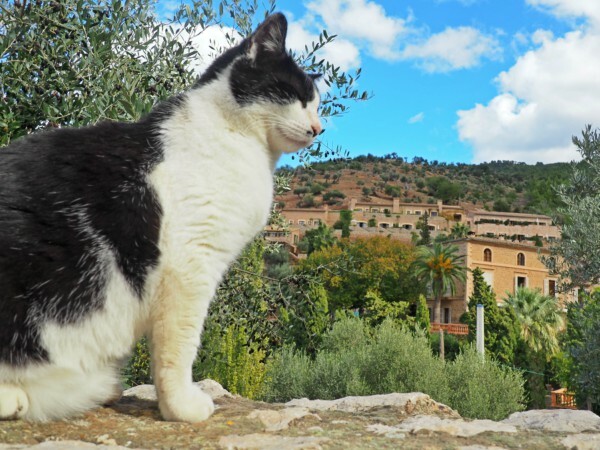 "The people of Morocco love their cats and tolerate having them around more than any other culture I've experienced, and after two years of full-time travel, I saw quite a few," said photographer Lisa M. Collard, creator of the calendar Cats of Morocco. 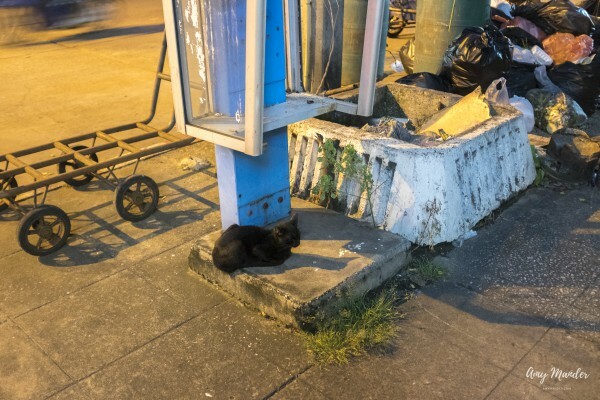 "During my three months in the country, it was so hard to not want to take many of them, though it was clear that even the street cats were well taken care of. Morocco is a predominantly Muslim country, and cats are well respected in Islam. This was never more clear than on the streets. I never once saw anyone chase or harm a cat, and there were piles of food for them left all over. 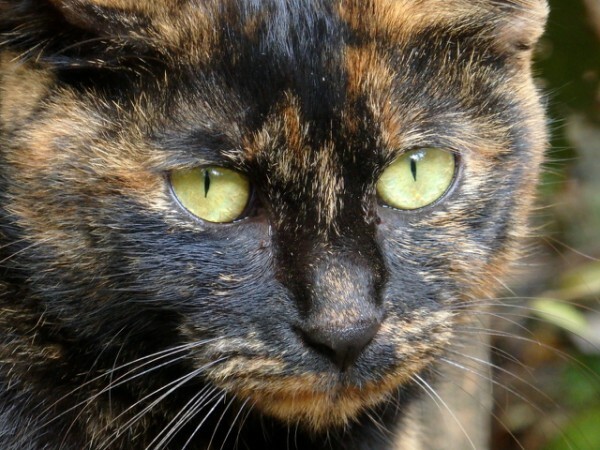 Also, the majority of the cats were very friendly and would come right up and ask for love." 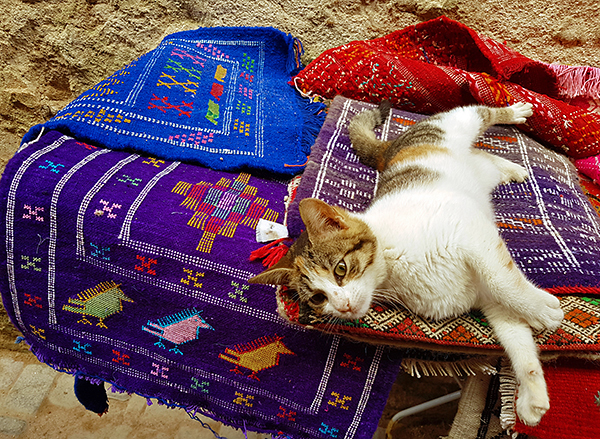 "The streets of the medinas (the old parts of the cities) are mazelike, particularly the markets where, as an American, I had to get used to seeing meat on display out in the open," Lisa M. Collard told Traveling Cats. 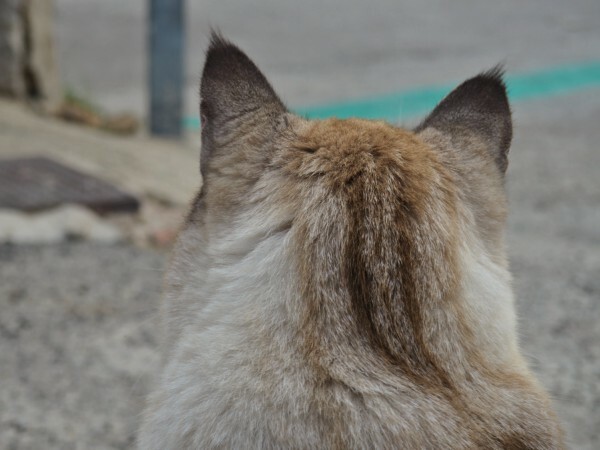 "It wasn't uncommon to see cats staring at the butchers with hope in their eyes." 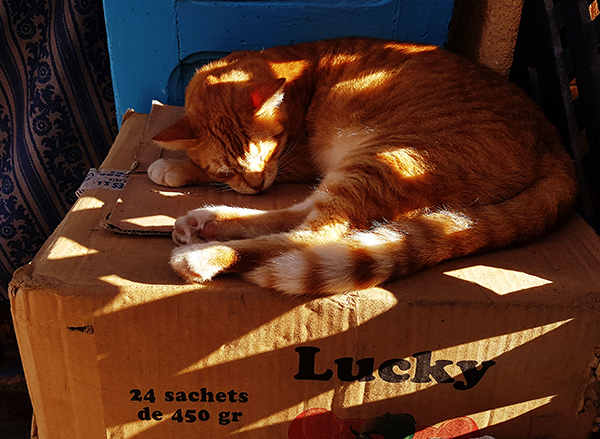 "I loved the lighting on this kitty in Marrakesh, and I thought that cat was, indeed, 'lucky'." 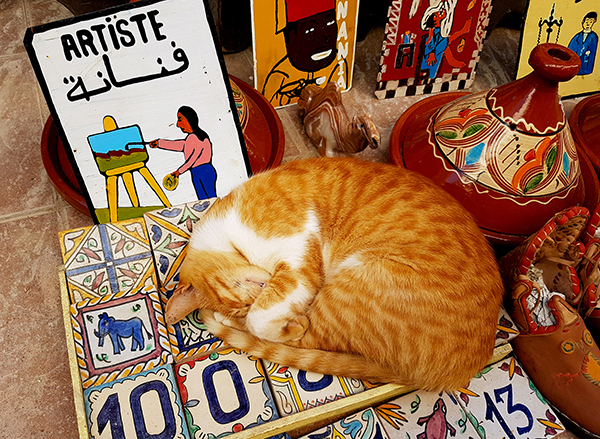 In Marrakesh, the piles of wares for sale are so vast it's sometimes easy to overlook the cats that are often scattered in among them. "My boyfriend, Shaine, is a huge cat lover and simply could not resist the mew of every tiny kitten we passed by," Lisa M. Collard said. 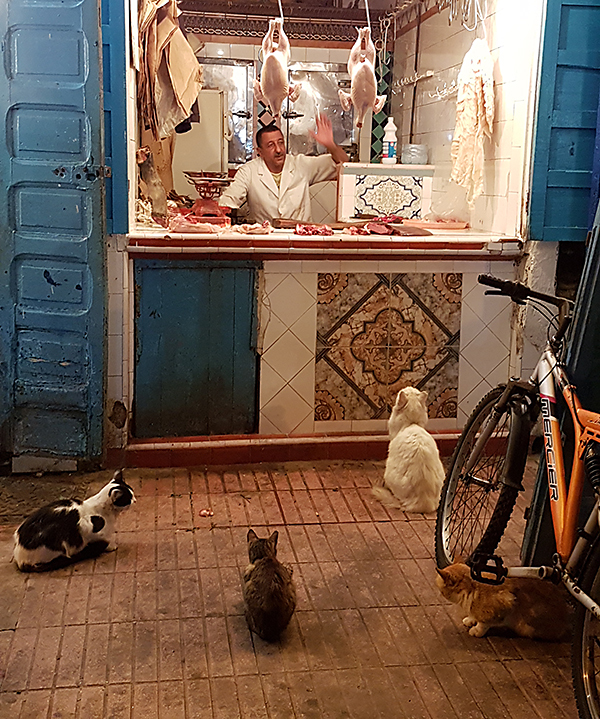 "He even fed the ones outside of our riad in Marrakesh sardines many times." 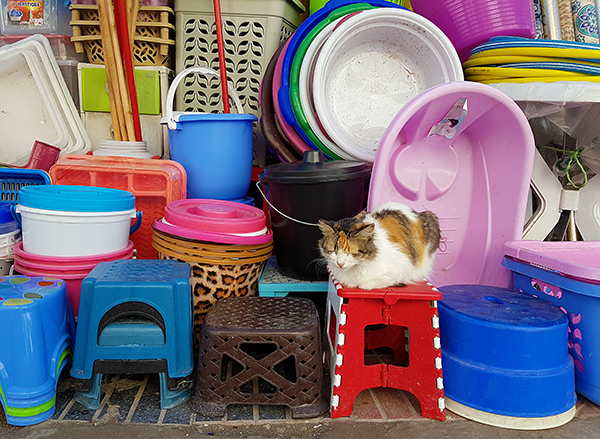 Do you love Lisa M. Collard's pictures of cats in Morocco? Then you will love her new calendar. Check it out here. And because it's almost Christmas, Lisa M. Collard is giving away a calendar to one lucky reader of Traveling Cats. The giveaway is open worldwide, and a winner will be drawn on December 25th. Good luck! 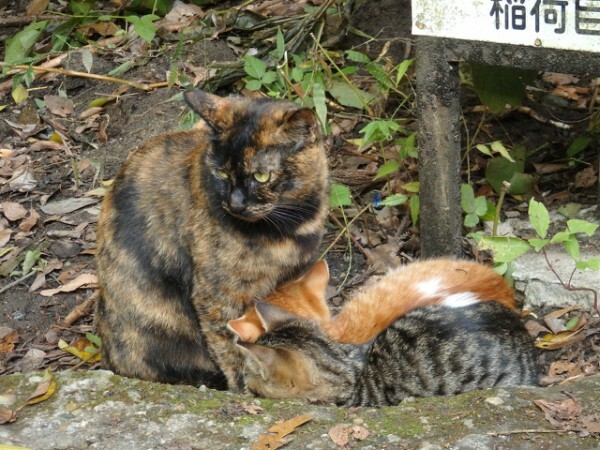 "A few days ago, I spotted lovely cats in Kyoto," says Traveling Cats reader Claudia Mannes. 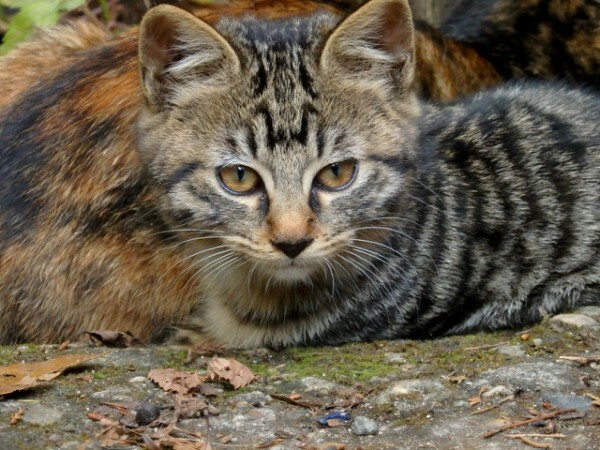 "Especially a mother with her 2 kittens was really cute, or 'kawaii' as the Japanese say." 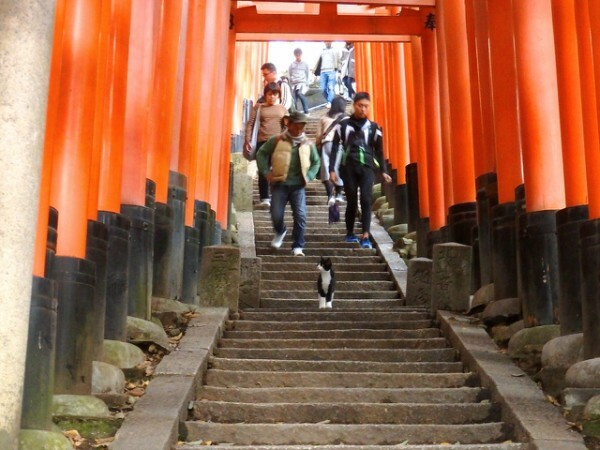 "I saw them at a famous sightseeing place in Kyoto: the Fushimi Inari-Taisha shrine. Connected to the temple is a route up the hill consisting of 4000 orange wooden gates in all sizes. It is called 'senbon torii' ('senbon' means 1000 and 'torii' means gates)," she added. "You can go from the shrine to the top of the small hill passing through thousands of gates. The higher and farther you go, the fewer people are on the usually crowded walk." 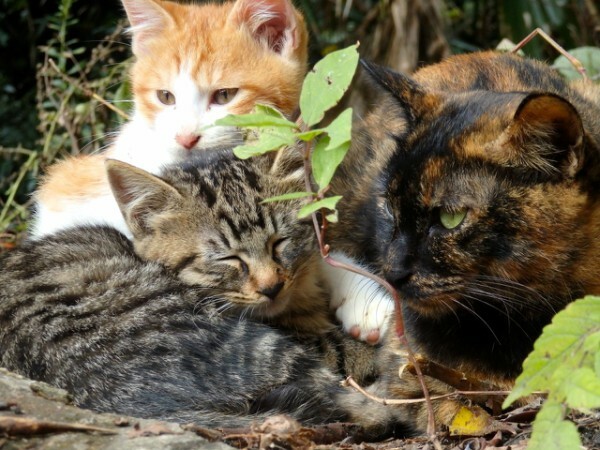 "At the side of this walking route, which led through a forest with a magical atmosphere, I found this cat mother and her two playful children." "The kittens were running and playing wildly. 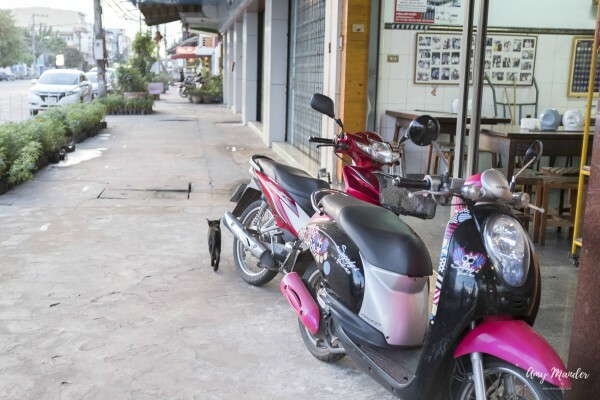 They were running through the 'torri' so fast, I couldn’t catch a single good photo of them," Claudia Mannes told Traveling Cats. 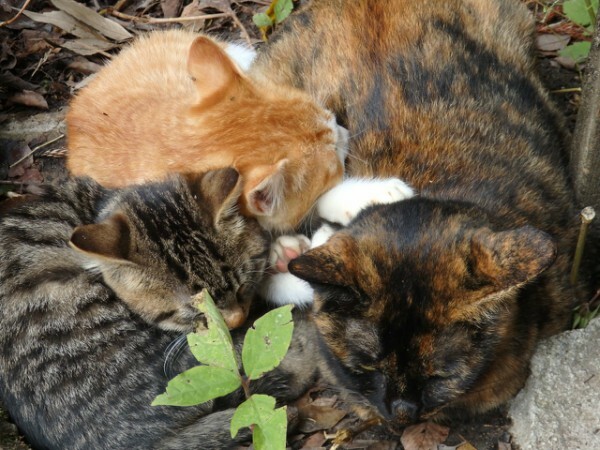 "But when they were tired, they cuddled up with their cat-mom very closely. That’s when I made the pics." 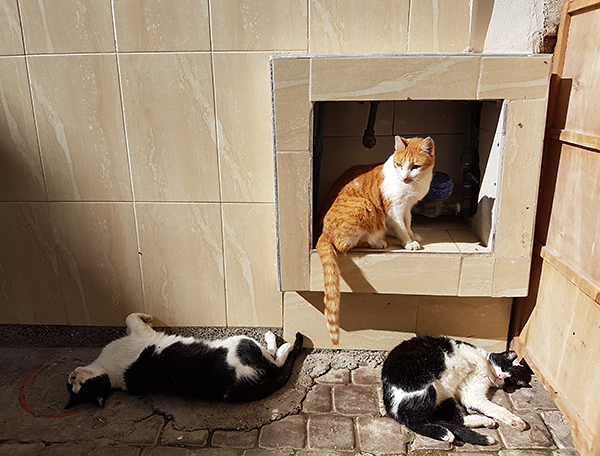 "At first, the cats looked like they had no home, but all the cats I saw there (and I saw more than these three) were in good shape and human-friendly, so I guess they are fed by the people running the little souvenir shops on the way up." 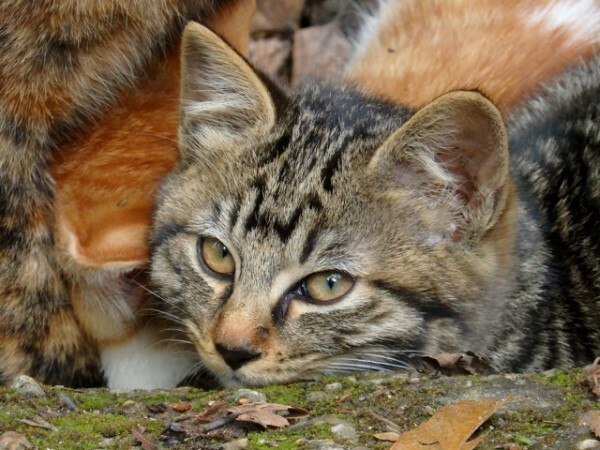 Would you go to the Fushimi Inari-Taisha shrine in Kyoto, Japan, to see the cats? 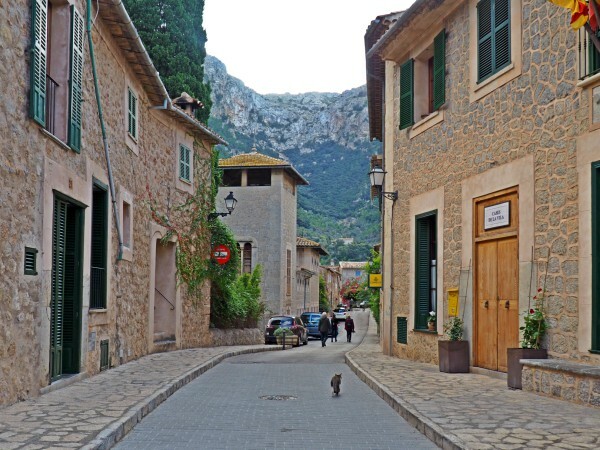 There are several good reasons to visit Deià on Mallorca. Most people do so for the hiking trails, the house of author Robert Graves, the fish restaurant Ca's Patro March (which featured as a filming location for the TV show The Night Manager), and for the cuteness of the village itself. 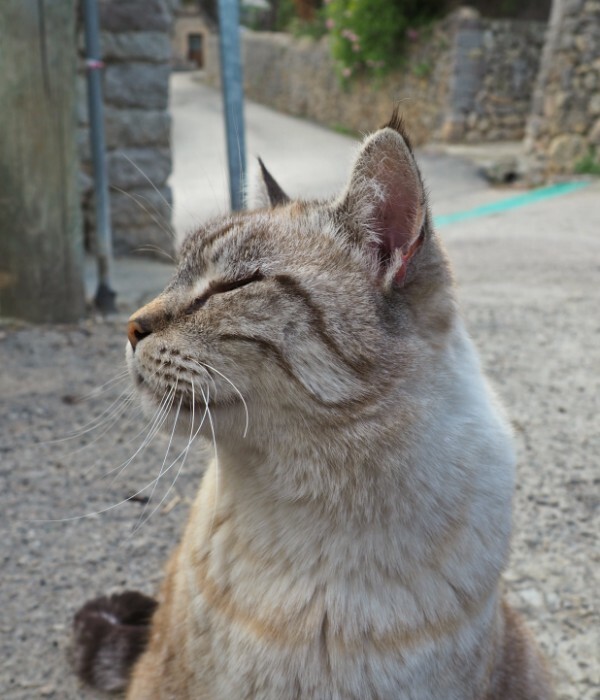 But the main reason I wanted to visit Deià was to see the cats. 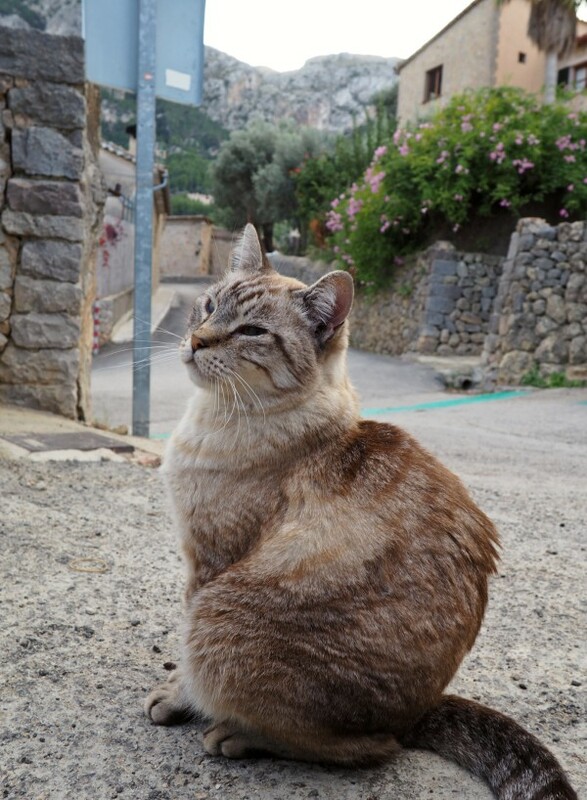 Ever since Traveling Cats reader Claudia Mannes sent in pictures of the cats of Deià in 2015, this village on Mallorca has been on my list of places to visit. 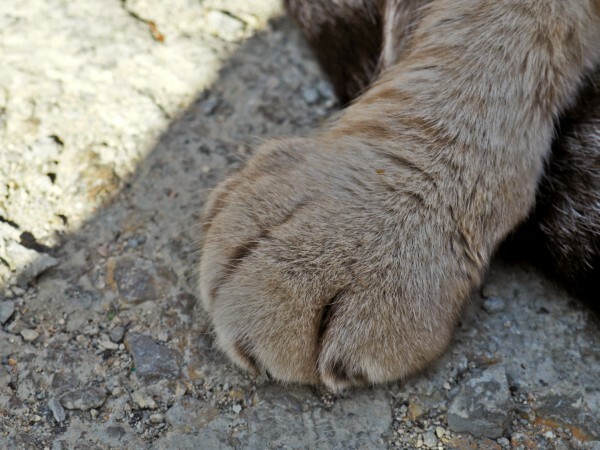 At first, my search for these famous felines turned out fruitless. I instantly found the house where they live (in front of Hotel La Residencia), but the cats weren't there. 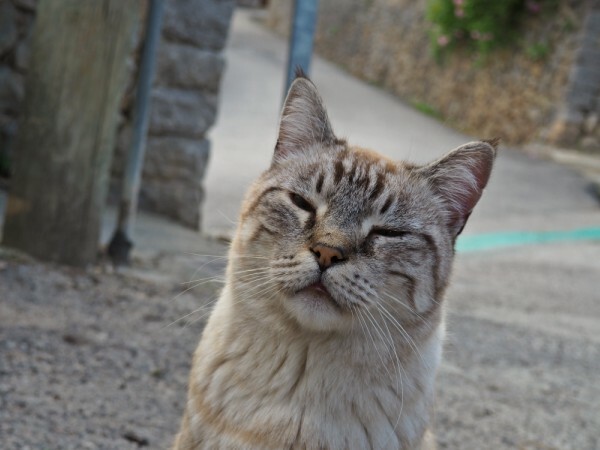 Even during a walk in the village, I didn't meet a single cat. Just when I was starting to feel disillusioned and wanted to take the bus back to Port de Soller, I spotted two kitties sunbathing in the alley above their house. And, oh my cat, they were the sweetest. These cats did not disappoint. 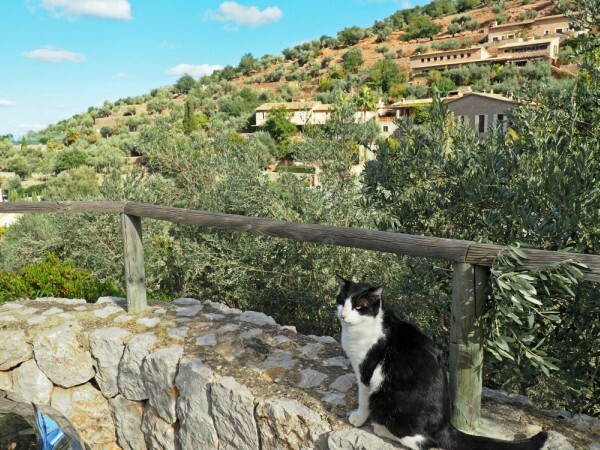 The tuxedo cat was a joy to photograph, mostly because I only needed to tap my hands on the place where I wanted him to sit so I could take his picture with the Tramuntana mountains in the background. It doesn't look like it, but the beige cat was a bit of a challenge to capture on film as he was continually moving around to ask for cuddles (which was hard to resist because he was so handsome and soft). He was incredibly skilled in showing off his best angle, though. I spent an hour and a half in the company of these famous cats. Just when I was leaving again to catch my next bus, I noticed a third cat. She was enjoying a meal right in front of her house, and when her belly was full, she walked off for a stroll through the village. 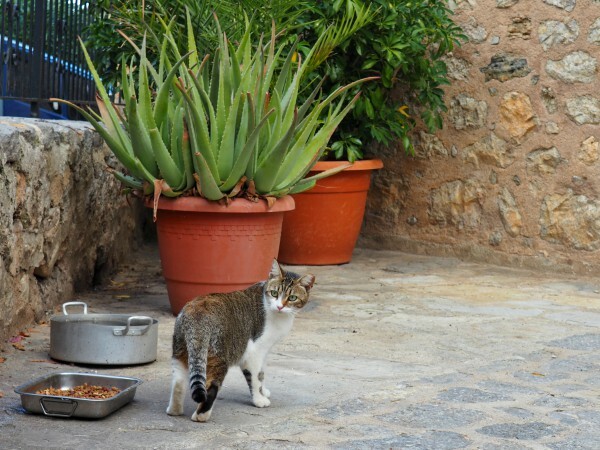 Would you visit Deià to see the cats?